If that report were released — and its findings independently verified by the National Academies of Sciences — then the EPA would strengthen restrictions on the chemical’s use, while cancer patients could draw on the findings in class-action lawsuits. The effect of all this would be to force industry to reduce its reliance on formaldehyde — and thus, to reduce the number of Americans who suffer from the ravages of leukemia, nose and throat cancer, and a variety of less severe respiratory ailments. Pruitt promised to follow up on the matter — but never did. And on Friday, a blockbuster report from Politico offered some insight into the cause of the EPA’s silence. In November 2017, Pruitt had removed multiple academic scientists from the EPA’s influential Science Advisory Board. He replaced with industry advocates — among them, Kimberly Wise White. That campaign has included a proposal to limit the EPA’s use of certain kinds of data on human health — while maintaining a special exemption for confidential, industry-funded studies that contain such data. Pruitt and his aides have also sought to postpone the release of a health department study that suggests nonstick chemicals pose health risks, even at levels that the EPA had previously deemed safe — and, last May, the passionately “pro-life” EPA director overruled his agency’s scientists, and declined to ban a pesticide that’s been linked to fetal brain damage. By blocking the report at the first step of the IRIS review process, political appointees are keeping it from being reviewed by the National Academies of Sciences, an independent panel of the country’s top scientists that must weigh in on all such risk assessments. 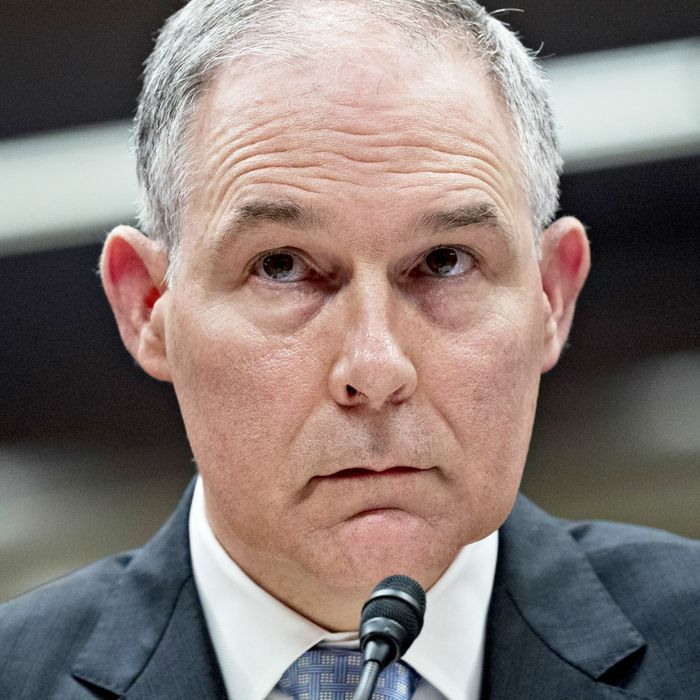 EPA has already paid the academies $500,000 for that review, the highest level of scrutiny a scientific study can receive, but the work cannot start until Pruitt’s aides send the study. Pruitt is, of course, gone; his personal corruption having become too much of a distraction from his agency’s vital mission of helping the Republican Party’s donors evade financial responsibility for poisoning Americans. But that mission is safe in the hands of the EPA’s new acting director, Andrew Wheeler. As staff director for the Senate Environment and Public Works Committee in 2004, Wheeler worked to delay an earlier version of the EPA’s formaldehyde analysis – and went on to profitable career as chemical industry lobbyist. 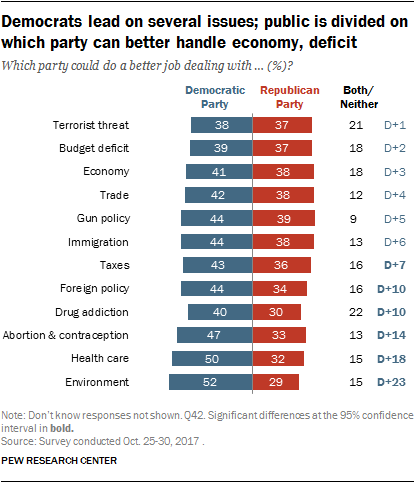 It’s worth noting that Democrats have a larger advantage on the “environment” than any other issue-set in American politics — and a recent Gallup poll found a supermajority of voters saying that the government is doing “too little” to protect the environment, while 57 percent of respondents said the government should prioritize environmental protection over economic growth. To be sure, environmental regulation is not a top issue for many voters; but corruption can be. And the public is already inclined to believe that Republicans are too deferential to polluters. Thus, Democrats would be wise to campaign against the GOP’s policy of “giving more Americans cancer and fetal defects for the sake of keeping chemical manufacturers’ regulatory compliance costs low” this fall.